This book is one of those essential reference works for genealogists who are serious about understanding the land records they find on their ancestors. The work was published by the US Government Printing Office so there's no copyright on it. When I wore out the copy in the local college library, I started searching for a copy to buy. A rare-book dealer finally found one for me for only $315. I decided to make it available as cheaply as possible so everyone could use this wonderful book. I scanned it onto CD in .pdf format and ran optical character recognition software to make it completely searchable. 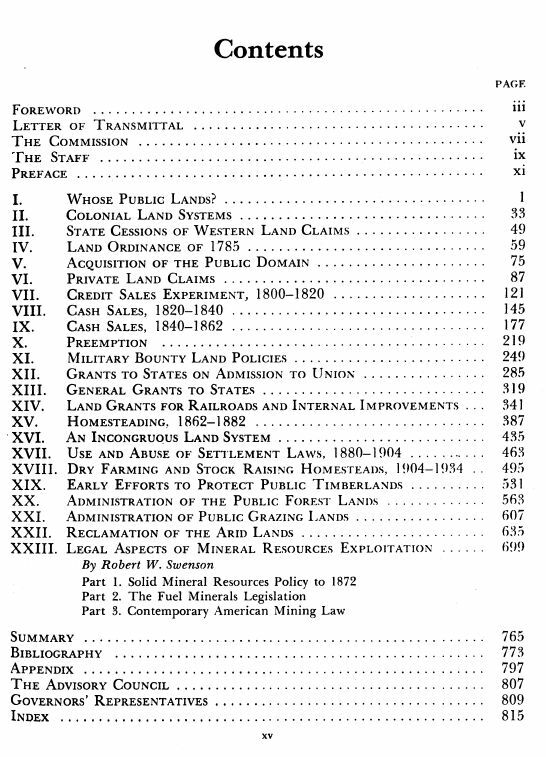 See below for the table of contents from the book. No, it doesn't have your ancestor's name in it - but it explains why your ancestor generated the paperwork he did.